Would You Take A Scorpion Seriously? Q. Why can’t scorpions see very well? A. If you were that ugly, would you really want to see? Getting his first booking might be a hard sell because no one ever invites a scorpion to anything, but he does have the advantage of looking comical. What other comic has such a big tail? Of course, the audience for a stand up scorpion comedian might be a bit captivated in more ways than one. If they did not laugh, they would be afraid of retaliation from the pointed barb on the end of that tail. A scorpion that was really talented might even bring back vaudeville. Just imagine an eight-legged tap dance act. Most people are not amused when they see scorpions, and they don’t want to be entertained by them. They are very scary and dangerous creatures. 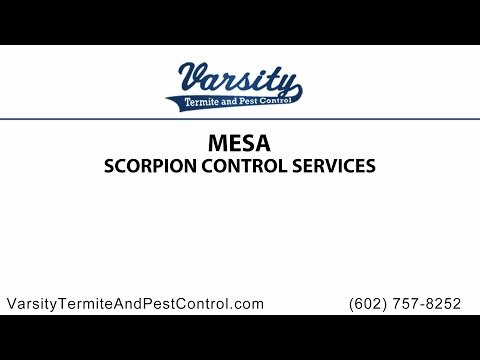 Pest control companies work diligently to control the many varieties of scorpions and to educate home and business owners in the ways to prevent their spread. If you have them in your home, I’m sure you’re not laughing. Call today and live bug free…no joke.